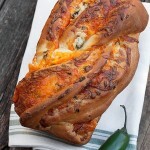 An easy Jalapeno Popper Cheese Bread, with all the flavours of jalapeno poppers … in bread form! I love jalapeno poppers. Anytime I am anywhere where they are served, I will order them up. Truth is though, I’m not likely to undertake filling, breading and deep frying a jalapeno at home any time soon. I’m guessing they’re fiddly little things to make. That said, I’m definitely not the least bit averse to stuffing my bread with cream cheese, jalapeno and cheddar though. Not one little bit :) It was meant to be that jalapeno poppers and cheese bread should come together in my kitchen at some point in time. 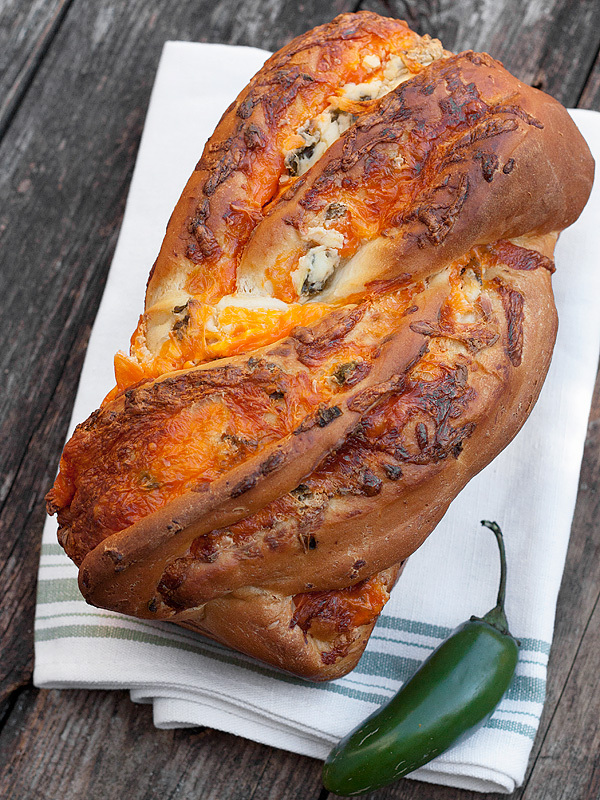 So what we have here is my favourite soft cheese bread recipe, filled with cream cheese that’s mixed with diced, roasted jalapenos and cheddar cheese. Roasting the jalapenos is key. Raw jalapenos have surprisingly little flavour once mixed with other ingredients. And besides, to truly capture the flavour of jalapeno poppers (that are fried), you need to cook the jalapenos, right? The finished bread has great creamy veins of spicy cream cheese and cheddar flowing through it and peeking out of the top. It is a jalapeno popper … in bread form. This bread is great out of hand, with butter, toasted, as a sandwich bread or try it for a killer grilled cheese (because more cheese is always good!). This bread is a great side for chili or soup dinners, too. Sometimes I will pan saute the diced jalapeno, then let cool before adding to bread. It makes a nice roasted jalapeno flavour. The twisting shape of the bread ensures that the loaf bakes up without holes or gaps and with the filling evenly distributed throughout the loaf. Despite the shaping, it bakes up in to a solid and very sliceable loaf. If you roll this one up jelly-roll style, you will probably find large holes/gaps where the filling meets the dough. It will still be delicious, but less sliceable. All the flavours of jalapeno poppers, in bread form, with veins of cream cheese, roasted jalapenos and cheddar running through it. A great side for chili or soup. Freezes well. Makes 2 loaves. Preheat oven broiler. Place halved jalapenos, skin side up into oven, about 6 inches below the broiler and broil until the skins of the jalapenos are blistered and blackened in spots, about 10 minutes. Remove from oven and place into a paper or plastic bag and place in the refrigerator for about 15 minutes. Remove and carefully peel away the skins with the edge of a knife. Discard skins and dice jalapenos. Set aside. Grease two 8-inch by 4-inch loaf pans and set aside. In a large bowl, stir the cream cheese until smooth and creamy (I like to pop into my stand mixer and stir with the paddle attachment). Fold in 1/3 cup of the diced jalapenos until evenly mixed through the cream cheese. Set aside. Spread 1/2 of the cream cheese/jalapeno mixture evenly over the dough (spreading out almost to the edges). Sprinkle with 1/2 of the remaining diced jalapeno, 1/2 of the shredded cheddar and lightly press the cheese down onto the cream cheese with the palm of your hand. Starting with the shortest side, roll the dough up jelly-roll style and pinch the seam together. Using a sharp knife, cut the roll of dough down the centre, lengthwise. Rotate each piece so that the cut sides are facing upward and place them side-by-side. Pinch together the farthest end. Keeping the cuts sides facing upwards as much as possible, place the right-side piece over the left-side piece. Straighen it up and then repeat, pinching together the end closest to you. If any cheese escapes, just place it back on top. 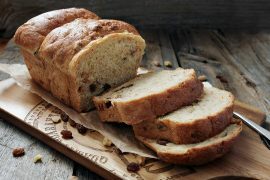 Using a bench scraper or spatula, carefully lift the dough into the greased loaf pan. Repeat with the other dough log, then cover both with a greased piece of plastic wrap and allow to rise until the dough rises to about 1-inch above the side of the pans in the middle. Preheat oven to 350° Bake for 45-50 minutes total, but after 25 minutes of baking, rotate pans front-to-back in the oven and loosely cover with a piece of aluminum foil if necessary (if bread is already well-browned), to prevent the top from over-browning. Bread should reach about 185° internal temperature in the centre. Hi, Jennifer. This looks delicious. Curiously, the instructions only use 1/3 of the jalapenos. Can you clarify when to add the remaining 2/3? 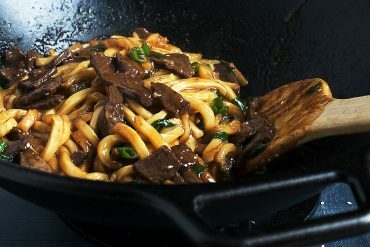 I’m looking forward to making this tomorrow. Thanks! Hi Gavin and sorry, it should be scatter over the cream cheese mixture and before the shredded cheese. I have updated the instructions to reflect that. Thanks for pointing that out! Thanks for getting back to me so quickly! 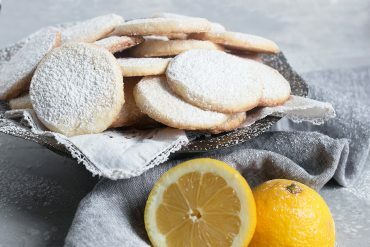 This recipe is absolutely delicious! I’m definitely making this again. I’ve made this twice for baseball tailgate parties; it disappears in minutes! Is there a published version with weights instead of volume? Hi Patricia, I just updated the recipe card with the metric measures. You’ll find the link to toggle between the two recipe versions in red at the very bottom of the recipe card. I’ve had that happen before, Patricia! I make this bread so often, sometimes I think I’m not always paying as close attention to what I’m doing :) I love your pesto addition! 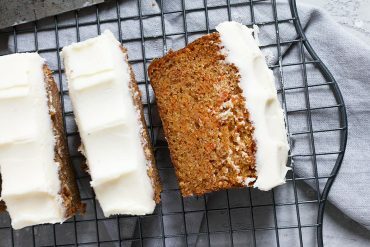 I love this recipe made it many times, but I was wondering if anyone tried making this into mini loaves? How many did you get out of it? Hi Jay, The problem with filled breads like this one, is if you roll it up jelly-roll style, it will probably bake up with large holes/gaps where the filling is. Of course, it will still be delicious, but not great for slicing, usually. The solution is to twist it together. 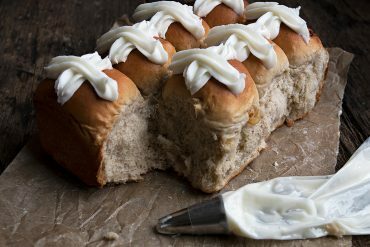 Twisting makes a very solid, sliceable loaf, with the filling evenly distributed. 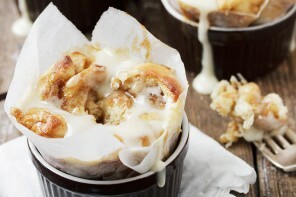 That said, if you really don’t want to go that route, I would knead in the filling first, then roll jelly-roll style. That will get you a normal looking loaf, without the gaps etc. Made this today. Absolutely amazing and easy to do. Thanks for sharing! I’m so excited to try this today. I’m going to add bacon to one of the loafs and leave the other as is. I’m not really sure I understand the cutting process. Do you have any pictures of this? I get the rolling then slicing down the middle, after that I’m a bit confused. 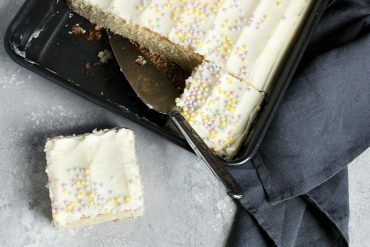 When you say to flip it so the cut side are facing up, do you meant turn it completely upside down? And I don’t get how to lay the pieces over one another, are you folding it in half and twisting? If there’s any way you could explain I would greatly appreciate it. It looks absolutely beautiful. Thank you for the recipe. Hi Nikki, Sorry, can’t help you there. I have never used a breadmaker, so I have no idea how to approach this recipe that way. Thank you so much for all of your efforts and generosity in sharing your knowledge and experience. I am new to bread making and was o excited when I saw the herb cheese loaf so I tried the recipe for the first time yesterday (was very excited). I used 1 cup less in measurement since I was using cup measurement and my dough was really stiff. I followed the recipe exactly. I left it out on the counter for a while and it rose a bit but decided to put in the fridge. I took it out today 2 hours before baking and the dough is stiffer and isn’t rising. Has anyone had this happen and could you comment on what could have gone wrong? Hi Katy, What kind of yeast did you use? If you used dry active, did you proof it in warm water first? Secondly, when I make bread, I always use the liquid measurement as the constant and the flour as the flexible, meaning I put all the liquid in first, followed by half the flour. Mix. They begin adding flour 1/4 cup at a time, until the dough comes together. Flour measurements vary wildly, depending on the type of flour and humidity and even how the cup is measured. That way, you can never go too far with the flour, which it sounds like you may have, if your dough was stiff. The fact that it didn’t rise at all though makes me question the yeast a bit though. Hope that helps and hope you’ll try it again. 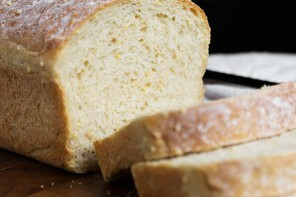 Having found your lovely website I made this wonderful bread recipe the other day. My husband and I both loved this. Since it is just two of us I made this as a roll “cinnamon roll style” froze the extra rolls on a tray unbaked. The next morning we cut them in half like a bisquit, toasted and buttered — wonderful! It is traditional here in Kansas to make poppers with bacon — I think my next batch will have bacon included! 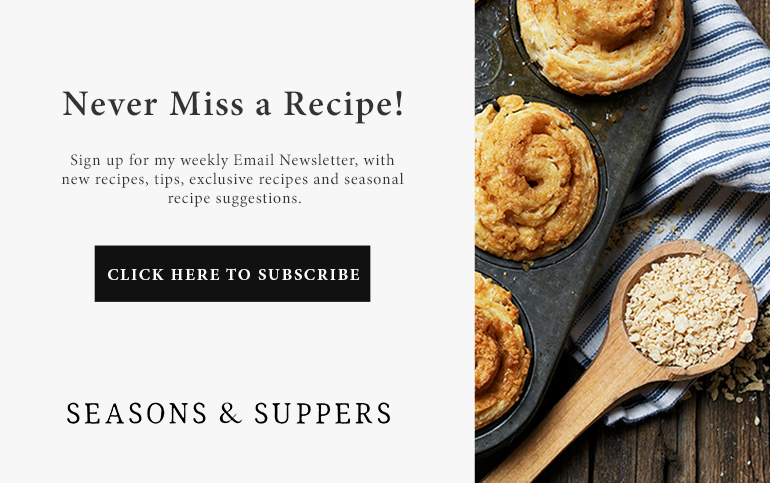 Thank you so much — can’t wait to try another of your recipes. But then Pinch together the farthest end. Keeping the cuts sides facing upwards as much as possible, place the right-side piece over the left-side piece. Straighen it up and then repeat, pinching together the end closest to you. Hi Betty, You don’t cut them like cinnamon buns. You just roll it up, jelly-roll style, then cut down the center lengthwise, making two long and narrow pieces. Flip the pieces so the cut side is up, placing them side-by-side. Then pinch the far end and twist the two pieces together, pinching the end closest to you once you have twisted it together. Does that help? FINALLY, getting around to trying this TODAY and using up the last of the peppers from our garden! On its first rise now. I hope I can form the bread to look as beautiful as yours! So glad you’re getting a chance to try it. Let me know how you liked it! sounds yum. do you think i could substitute goat cheese for the cream cheese? Hi Karen. If goat cheese is what you have and you don’t want to get cream cheese, give it a try. It might be a bit messier (goat is crumbly vs. the spreadable cream cheese), and while cream cheese is traditional in jalapeno poppers, goat is at least a tangy cheese as well. If you try it, let me know how it turns out. Finally made it, the goat cheese wasn’t hard to work with but cheddar looks a lot prettier when it melts into the bread. Tasted good though! Next time, I will leave the goat cheese as a spread. This as a grilled-cheese sandwich? YES! I agree that making jalapeno poppers at home is a bit of a fuss, delicious as they are. At restaurants, they are always a favorite of mine as well! This looks amazing and as always, your braiding skills are just wonderful. I love savory breads and this one looks simply irresistible! Thanks so much, Laura. We really enjoyed this one.